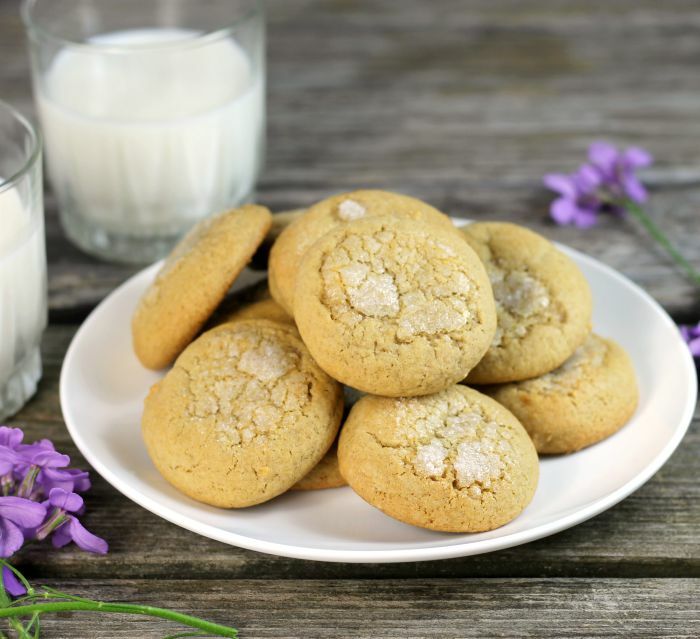 Soft honey cookies are a simple cookie with a touch of honey that is super soft and a bit chewy. Soft honey cookies are a super easy cookie to make they have a touch of honey and a hint of spices. You will want to make a bunch of them so that you have a few to put in the freezer for a later date. My mom has bought lots of cookbooks throughout her lifetime. She doesn’t do a lot of cooking these days so her cookbooks are sitting in a big box in a closet at her house. Since I have been working on this blog I am always looking for inspiration. I have been borrowing a few of her cookbooks and looking at all the recipes trying to find new and exciting recipes. Most of these are church cookbooks and other local organizational cookbooks. Some of the recipes sound delicious, but there are other recipes that I am too sure about. I found a cookie recipe for honey spice cookies that sounded quite good. The spices that the recipe offered were not what I was looking for, so I changed the spices. The cookie was a crisp cookie and I was looking for a soft cookie so I changed that up as well. 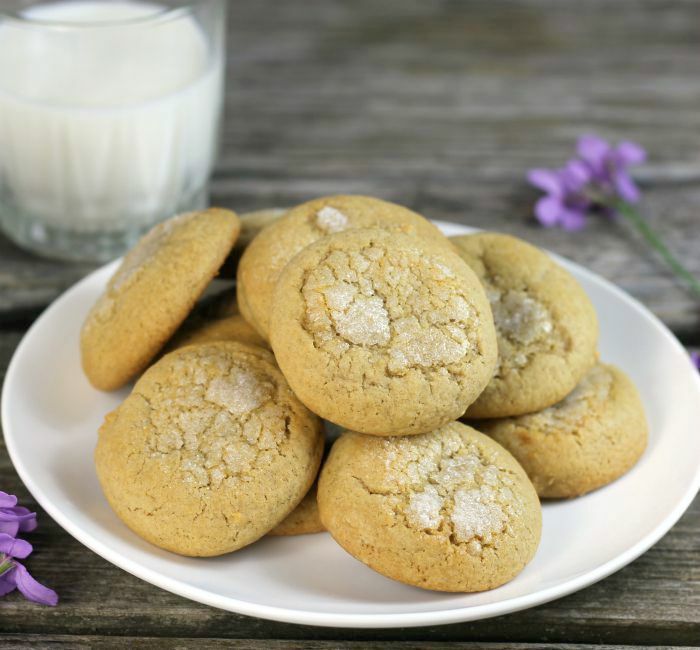 These soft honey cookies have cinnamon, ginger, and nutmeg in them. Usually, I would consider these spices fit for more of a fall cookie, but what the heck they work for summer too. The cookies are rolled into balls and the tops are dipped into water then into sugar. This not only give a cookie a bit more sweetness but it gives the top of thre cookie a lovely crackled look. I like to bake cookies in large batches so I can freeze some for when the grandkids come around. These soft honey cookies freeze well and are a hit with the grandkids as well as my kids. Yeah, my kids like cookies too. I often hear them ask me if there are cookies in the freezer. If you are looking for something different in a cookie I hope you will try these soft honey cookies. Sift together the flour, baking soda, salt, cinnamon, ginger, and nutmeg and set aside. With an electric mix cream the brown sugar, honey, and butter. Add the eggs and mix well. Add the flour mixture and mix until well blended. Roll cookie dough into balls about the size of a walnut. Dip the tops of the cookies into the water then the granulated sugar. Bake in a preheated oven for 9 to 10 minutes. The tops of the cookies should have a crack on the top before removing them from the oven. 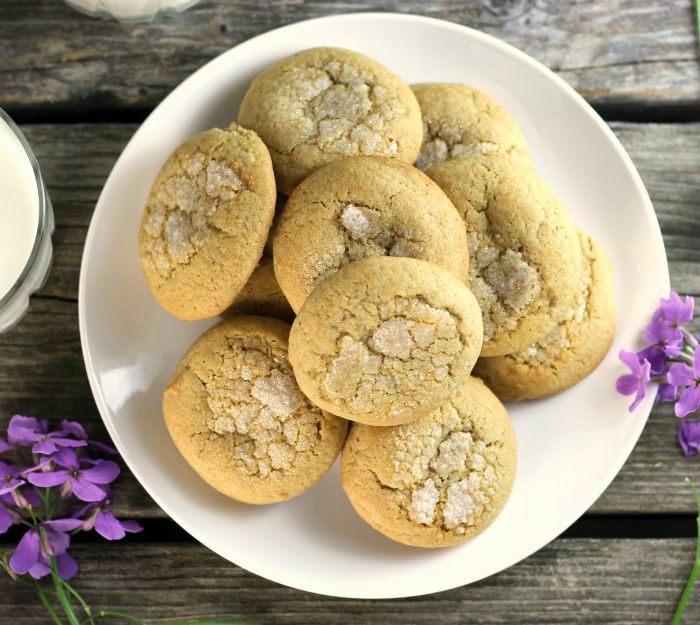 Soft and chewy…I would love these honey cookies too! 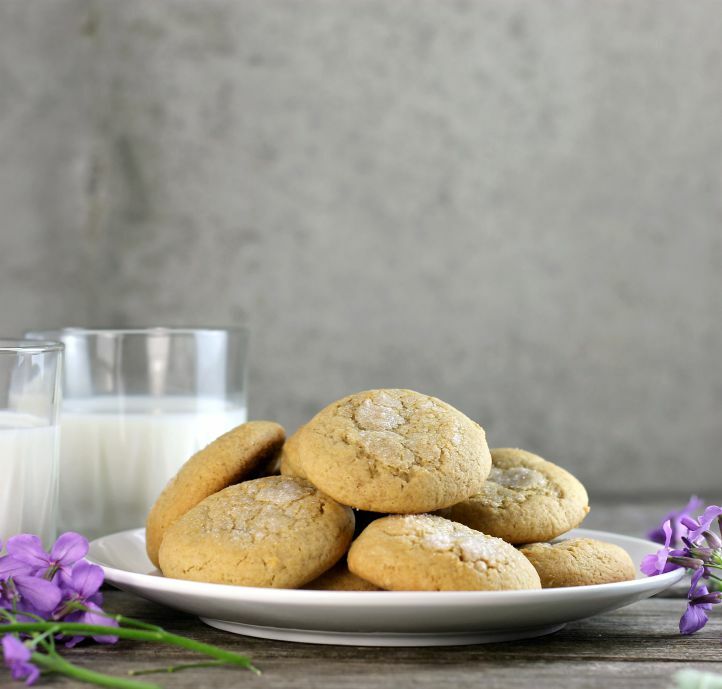 I much prefer soft and chewy cookies therefore these cookies are perfect for me…and they sound awesome…honey and all the spices in it. I love the sound of these honey cookies! I am certain my little kiddos would love these as well. Can’t wait to try these. These cookies sound amazing, Dawn! But I have to laugh about your church cookbook adventures. I totally agree! There are some really amazing ones in those types of books…but I’ve also come across some that just make me go “uhhhh……” 🙂 This one is definitely a keeper though! I love to go through the old cookbooks at my mom’s house too! This is a really nice fall cookie recipe 🙂 They have such a pretty color to them and I’m sure the honey gives them a unique bit of flavor. I will have to try these soon!